This is the first in which I hope will be a number of guest posts on this blog. 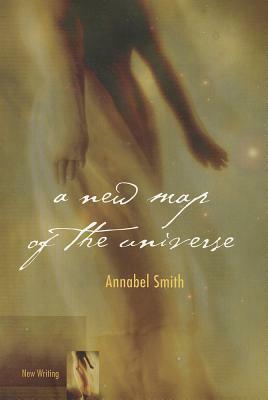 I asked my wonderful Facebook contacts if anyone would like to write a short piece about their favourite book, and to my delight, one of the responses was from Annabel Smith. 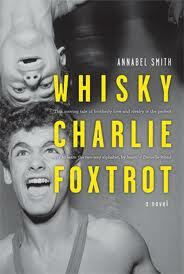 Annabel is the author of two novels, A New Map of the Universe (UWA Press) and Whisky, Charlie, Foxtrot. She has a great blog which you can read here. I recently had the pleasure of meeting her and hearing her talk about her writing process. She is the kind of confident and inspiring writer who, to me, embodies the kind of positive qualities that make the local writing scene so great. I hope she won't mind me listing her as one of my role models. So without much further ado, here is what Annabel had to say on the topic of her favourite book! "It is basically impossible for me to choose an all-time favourite book, because different books have resonated with me at different times in my life. Having said that, there seem to be certain books that continue to move me, or delight me, over a period of many years, and as soon as I read Jennifer Egan’s Pulitzer-Prize winner A Visit from the Goon Squad, I was certain it would be one of those books. It is a novel-in-stories, centring around Bennie, one-time punk rocker and life-time music lover, who, in his forties, finds himself lost at the helm of his own record company (the hilariously-titled Sow’s Ear Records). The stories revolve around a cast of characters whose lives intersect with Bennie’s, and drift backwards and forwards in time, keeping the reader guessing about the connections them. Egan has a preoccupation with characters’ inner lives which fascinates me: she lays bare their wishes and regrets, their motivations and self-delusions with humour and tenderness. Even as we are embarrassed for them, we relate to them, we feel for them. The novel seems to be, in some ways, a response to and a means of parsing the impact of 9/11. An ode to New York City, it examines notions of fake and real, gender, power, the media and marketing, neurosis, shame, loss and redemption. But its beating heart is the complex relationships we humans have to the process of ageing. From the teenagers who want to grow up too fast to the middle-aged characters who look back with nostalgia on their youths, the ‘goon squad’ of the title refers to the feeling that time has somehow caught up with you. A Visit from the Goon Squad is without doubt one of the most perceptive, witty, innovative, poignant novels I have ever read and one I will look forward to-re-reading again and again. "